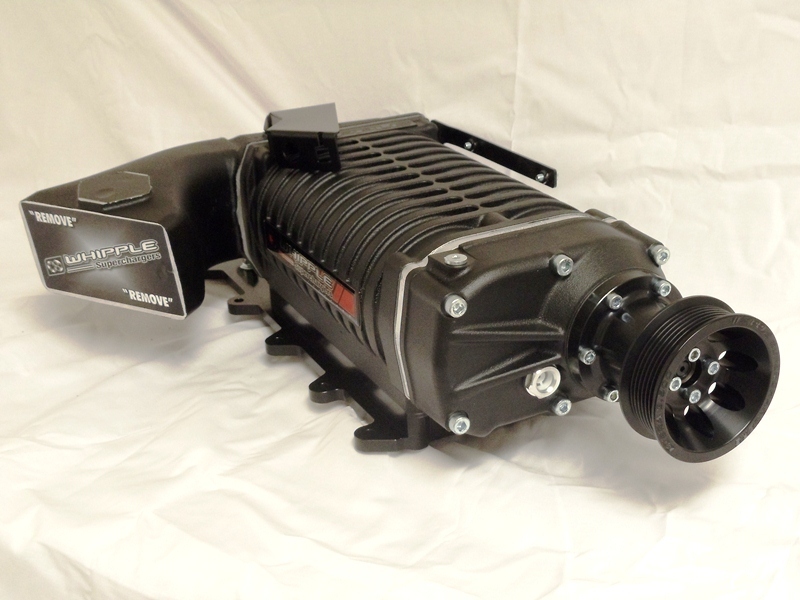 If your craving more power from your Cobra Terminator, Whipple has the answer. Get the industries most efficient and latest designed twin-screw supercharger available today. The new Whipple system can produce incredible power levels with stock 4.6L Cobra engines as well as highly modified engines. The revolutionary new W140ax compressor has the ability to run nearly 25lbs of boost (engine modifications required) for unheralded performance. This direct bolt-on replacement system dramatically lowers supercharger air temperatures and power consumption (hp) versus the factory Eaton roots-type supercharger. The complete bolt-on system comes with all the necessary parts for 13lbs of boost which requires zero modifications to the engine or PCM. The Whipple system is available in two styles, one for the factory throttle body and one for aftermarket throttle bodies such as Billet Flow’s and Accufabs. The Whipple Cobra kit not only offers a better supercharger, but the potential to have one of the fastest, most powerful street machines on the road today. The Whipple discharge plate offers far more plenum area as well as a much greater radius to help distribute the air evenly over the entire intercooler core. Whipple’s air bypass system was also properly engineered into the SC discharge for proper function unlike other systems. This allows lower discharge temps and less parasitic losses during operation. Don’t fall for the misleading advertising, there is simply no comparison in quality and performance.